From the beginnings of the Jewish led 'Red Menace' creation in 1917 to the Zionists bloody acts during and after WWII, there's always a Jewish presence. Nemmersdorf in East Prussia was one of the first pre-war ethnic German villages to fall to the advancing Red Army in World War II. On October 21, 1944 it was the scene of a massacre perpetrated by the Soviet soldiers against German civilians and French and Belgian noncombatants. "In the farmyard stood a cart, to which more naked women were nailed through their hands in a cruciform position...Near a large inn, the 'Roter Krug', stood a barn and to each of its two doors a naked woman was nailed through the hands, in a crucified posture....In the dwellings we found a total of 72 women, including children, and one old man, 74, all dead....Some babies had their heads bashed in." "When in October, 1944, Russian units temporarily entered Nemmersdorf, they tortured the civilians, specifically they nailed them to barn doors, and then shot them. A large number of women were raped and then shot. During this massacre, the Russian soldiers also shot some fifty French prisoners of war. Within forty-eight hours the Germans re-occupied the area." All of the females, ranging in age from eight to 84, were raped repeatedly prior to their being murdered. "The German women raped and forced into sexual slavery at the end of WW2 are still among the most forgotten, suppressed, ridiculed victims of war in history," since our schools don't have the time to teach actual history, that time is taken up by holocau$t sob stories. Nor will you see this story on the 'Boobtube,' since they have a fixation on running endless stories about Hitler. Anything to keep people from discovering actual history and hiding the present crimes against humanity committed on a daily basis by Apartheid Israel against the world's largest concentration camp, Gaza. How about tossing living people into ovens and no, it's not a holocau$t fantasy tale. 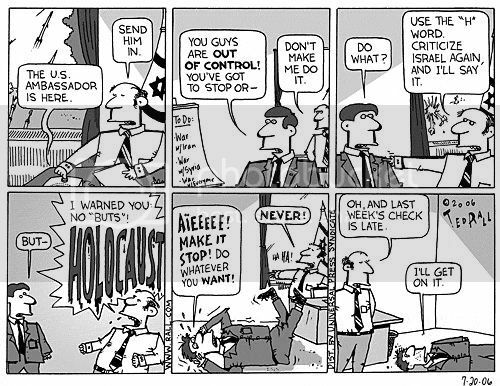 "Admit nothing, deny everything and make counter-accusations" is an adage that works wonders for the Zionist Jew psychos that have turned Palestine into a huge killing field, then turned around and used the real facts from past Zionist butcheries like the horrors committed at Deir Yassin to enhance the lies about the greatest racket known to humanity, the holocau$t. Two hundred and fifty people were slaughtered. Mutilating the bodies, even before death, the culprits cut off parts and opened the bellies of others. Nursing babies were butchered on the bosoms of helpless mothers. Of those two hundred and fifty people, twenty-five pregnant women were bayoneted in their abdomens while still alive. Fifty-two children were maimed under the eyes of their own mothers, and then they were slain and their heads cut off. Their mothers were in turn massacred and their bodies mutilated. About sixty other women and girls were also killed and their bodies mutilated. Such are the historical facts concerning the horrible crime perpetrated against the Arab village of Deir Yassin. The marauders were not satisfied with the crimes they had committed in the village. They gathered together the women and girls who were still alive, and after removing all their clothes, put them in open cars, driving them naked through the streets of the Jewish section of Jerusalem, where they were subjected to the mockery and insult of the onlookers. Many took photographs of those women. Partial list of Jewish led Red Army troops war crimes. Not content with making life miserable for Palestinians, Syrians, the Lebanese and others in the ME, Israel is one of the leaders in 'white slavery,' which is a cleaned up way of saying they kidnap young girls, bring them to 'StolenLand' and force them into prostitution. Sorry, I'm getting off-topic here, but once you start researching the crimes of Jewish criminals, Zionist war mongers and the like, there's no end to the sources. Having read 'Exodus' by Leon Uris as a teenager I was fascinated by the Jewish story. Never mind the indoctrination that happened in school. Boy, did I ever have to un-learn. Still happening today.